I am always amused when a TV pitchman offers to sell a secret “they won’t tell you about,” promising to make you a million dollars. Well, the “secret” I’m about to disclose is something rarely discussed, but not intentionally hidden: a form of hope. This type of optimism, however, is not what most imagine when they think of such words. This is not meant to be fanciful. As one of the founders of the Zeolite Scholarship Fund at an inner-city public high school in Chicago, my friends and I met too many youngsters who, by age 16, couldn’t imagine themselves achieving a life past what was available in a dead-end community. For some, a hopeful future died aborning. Imagination died, as well. A therapist faces this, too, in the blinkered vision — the crumpled expectation — of the person sitting opposite him. His patient might not be able to conceive of a different, more adventurous life of high level skill, romantic abandon, achievement, and abundance. He is, in a sense, like a child who hears early she can be President of the United States, but discovers this has never happened — not yet anyway — in the USA’s 240-year history and therefore crosses off the goal. Yes, some individuals periscope beyond the concrete canyon, their parents’ bleak lives, and their country’s prejudice without a counselor’s help. Yet others need their therapist’s belief to develop an x-ray vision piercing invisible barriers, the walls so taken-for-granted one might not even be aware of them. Hope of this kind is not simply founded in the counselor’s confidence you can overcome symptoms. Rather, it is aspirational — the hope beyond hope to a world of possibility your peers laugh at if you are one of the 16-year-olds I mentioned. For those who never beamed at a respected person’s consistent belief in them before, the words come as a revelation. Therapy is an enterprise driven by heartbreak in the direction of hope. “I’ll try anything,” you say to yourself, “even this.” Usually, however, the wish is to remove the negatives, not obtain a sense of fulfillment in life. Make no mistake. The two may not be mutually exclusive. Envisioning a future worth living is more than encouragement to wellness, but a step toward it. Some men see things as they are and say why. I dream things that never were and say why not. The top photo by Jessie Eastland is described as 72 Seconds Before Actual Sunrise, Southern California, USA. It comes from Wikimedia Commons. How many of you, I wonder, have a room of your own? Most, I would guess, but that doesn’t mean that everyone does; certainly not in the current economy. And what is life like if you don’t have such a place where you can retreat from the world, be silent, think, read, write, watch TV, go on the computer, or do whatever you want? Virginia Woolf, the great English author, presumably thought it desperately important, especially for women. I will take only a moment of your time to think about a few of the ideas she expresses in her short fictionalized essay/novel, A Room of One’s Own, published in 1928. Her book was written nine years after English women won the right to vote. The essentials that the book’s narrator believes to be required for the life of a writer are a room of one’s own (with a lock that you control) and the equivalent of $33,283 dollars per year. The actual amount she names is 500 pounds in UK currency, but I’ve converted it to 2014 U.S. dollars. That precise number isn’t crucial. She — Woolf’s character — is trying to name a figure that will make you sufficiently independent to have the intellectual freedom to do some serious writing. …I think you may object that in all this I have made too much of the importance of material things. Even allowing a generous margin for symbolism, that five hundred a year stands for the power to contemplate, that lock on the door means the power to think for oneself, still you may say that the mind should rise above such things; and that great poets have often been poor men. …It is — however dishonoring to us as a nation — certain that, by some fault in our commonwealth, the poor poet has not in these days, nor has had for 200 years, a dog’s chance. 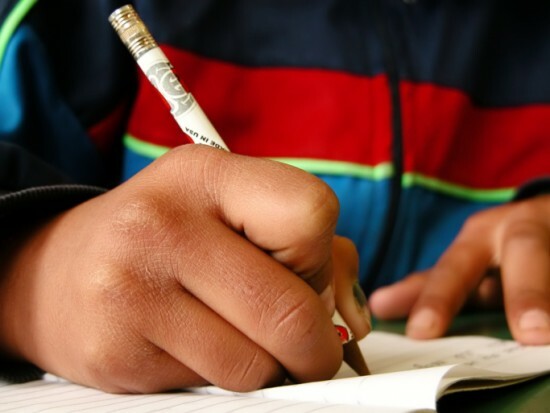 Believe me — and I have spent a great part of 10 years in watching some 320 elementary schools — we may prate of democracy, but actually, a poor child in England has little more hope than had the son of an Athenian slave to be emancipated into that intellectual freedom of which great writings are born. Money = intellectual freedom. Usually only with enough money do you automatically have the time and space and opportunity to “think” about something other than how you will receive your next meal and who you must answer to in order to earn it. That is the belief both of Woolf and Quiller-Couch. Woolf also confronts the historical “belief” that women were incapable of serious thought and inferior to men in almost every other important way. Yet we live in a more liberated time you might say. My answer to that would be to ask you to realize that Quiller-Couch is referring only to men. Moreover, I have seen yearly one such school of the kind I believe he is describing, although it is not an elementary school. Chicago’s Mather Public High School is my alma mater, much changed from 1964 when I graduated. The poverty induced stress in the homes of many of Mather’s students is heartbreaking. We know this from talking to these kids, reading their personal essays, conversations with their teachers, and reading the letters of recommendation written by those instructors. We know that by age 16, at least for some of them, they have already been so discouraged by their circumstances that they believe the “American Dream” does not apply to their lives. Indeed, we know that many of the friends of the best students tell them that their academic hopes and career ambitions are unrealistic. As some of you have read on my blog, my graduating class created and has supported the Zeolite Scholarship Fund for 15 years, to give some of these poor kids better than “a dog’s chance” to receive an education and make a good living sufficient to the intellectual freedom that has been described here — the education needed to get a job that allows you to rent or buy the room and the lock and create an atmosphere conducive to serious thought. As Quiller-Couch said of the England he knew, it is “dishonoring to us as a nation,” in the USA, that his words apply to our time and place as they did in his. I know there are no easy solutions, but that doesn’t mean one should wait for someone else to do something. It could be tutoring, mentoring, donating money for books or scholarships, or becoming a teacher yourself. It could mean voting for those who have some good ideas about how to change the situation or running for office yourself. Many other actions — governmental, social, educational, and nutritional — are possible. Nor is this simply a matter of dishonor or unfairness. It is a waste of young lives, plain and simple, some of whom would benefit the world given the right conditions. My suggestion? Start by visiting a public school in a poor neighborhood. Unfortunately, they are very easy to find. Accidents are not always bad. The word that captures that unexpected good fortune is serendipity. It is “the occurrence and development of events by chance in a happy or beneficial way,” so says the online dictionary at Google. My friends and I, a group called the Zeolites, know that experience very well. We came from homes where the idea of charity — giving a hard-won dollar to someone else — was almost unimaginable. But thanks to a sequence of serendipitous events, we learned not just how to donate a single dollar, but over $180,000. The video/story of how we came to be accidental philanthropists always brings a smile. It documents an adventure that started in a high school cafeteria 50 years ago. One that began with one person: our buddy Ron Ableman and a meeting he suggested 37 years in advance. The Story of the High Potentate of the Zeolites. Most of you now know that the Zeolites, our 1963/64 high school park district softball team, had a reunion on January 1, 2000. But there were just a few people who knew about it from the start. The adjacent lunch table in Chicago’s Mather High School cafeteria included female friends who’d been told of our plan back in 1963, the year that the idea was hatched: to meet on the front steps of the Museum of Science and Industry in 37 years time. 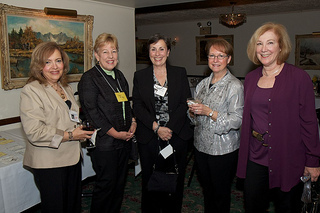 That group included Carolyn and Cathy Bell, Olivia Wasserman, and Judy Maloff. We got back in touch with them in late 1999 as the reunion day approached, and later let them know that the Culligan Corporation was giving us a grant of $2000 to create something called the Zeolite Scholarship Fund. Some of them even sent us money in support of the project. But, before too long I got an email out of the blue from a man who probably had never heard of the Zeolites and whom I hadn’t seen since 1965. He’d been told about our college scholarship philanthropy for graduating Mather seniors by Carolyn Bell and contacted me to ask if he could help. Soon thereafter we received a very large check from him, one of many that were to follow. To date, he has contributed nearly $5000 to the Zeolite Scholarship Fund, making him our third largest individual contributor. The two guys ahead of him, as you might expect, are Zeolites. In the 12 years of our existence, that is the only time we received money from someone we didn’t solicit and whom we hadn’t told what we were doing; someone who just happened to hear about us and thought giving money to the project was a good idea. That someone is Jim Lustig, and the story I’ve just related tells you as much as you need to know about the behavioral definition of the word generosity. Of course, Jim is a University of Chicago Medical School graduate and a highly respected pediatrician. I could tell you much more about his professional accomplishments* — about the recognition he has earned, what he has written and what he has done — but our attachment to Jim is more personal than that. At least four members of the Zeolite Scholarship Committee have gone to him with our own medical concerns or seeking advice about a loved one. Jim is always there, always helpful. Sue Leff Ginsburg will tell you a little bit about her contact with Jim. Then I will say a few more words. In 2006, when our high school graduating class had its first “mini-reunion” dinner at Via Veneto, I was sitting next to Gerry telling the story of my new granddaughter, who was a preemie (premature birth) and wouldn’t eat. My daughter and son-in-law could not find a doctor here who could help and they were so worried and frustrated. Gerry suggested I ask Jim’s advice, as he was a pediatrician. Now, I knew Jim in high school, he was an acquaintance. So I made my way to his table and started picking his brain. In his very calming, comforting tone, he informed me of the Milwaukee Children’s Hospital and their eating clinic. My daughter, with Jim’s direction, was able to find doctors who not only had dealt with this before, but had a proven plan to solve it. Not only did Jim calm two worried parents and a crazed grandmother, but in the process, I made two wonderful friends in Jim and Joan, Jim’s wife. Thank you, Sue. All of us who have consulted Jim have had the kind of experience Sue just described. To me, Jim is the embodiment of the best qualities of a physician as they were represented on TV and in the movies back when we were growing up in the 1950s and 1960s: someone who is very smart, someone who is very experienced, someone who is calmly reassuring — quietly confident; someone who you know will do everything that is required to make sure that things turn out well. Jim is the guy you want in your corner. He is the guy you want on your team, whether it is your softball team, your scholarship team, or your medical team. In a difficult moment, he is the person you want by your side any day and every day, any week and every week, any season and every season. But there’s more, as they say on TV. Last year some of you will recall that I gave you a short German history lesson, or at least, a history of the Zeolites in German class at Mather High School. Jim was there in German class, along with most of the Zeolites, and people like Bob Ferencz and Michael Kaplan. As I said last year, after four years of German study we’d learned, perhaps, only 10 words; and seven of those words were swear words! But happily, one of those words has to do with Jim! No, not one of the swear words. The top photo is Jim Lustig. In the second photo, left to right, are Barbara Orloff Litt, Pat McAvoy, Sue Leff Ginsburg, Jan Kozin Gordon, and Joan Lustig (Jim’s wife). These pictures were taken at the Mather High School Class of 1964/65 “Mini-Reunion” Dinner at Sabatino’s Restaurant on May 4, 2012. They come to the Zeolite Scholarship Fund courtesy of Michael Kaplan. *Jim is the Program Director, Asthma/Allergy of the Children’s Hospital of Wisconsin. He is also Professor of Pediatrics (Allergy/Immunology), Medical College of Wisconsin and Member, Children’s Specialty Group. Every so often some event comes along and turns everything you thought you knew upside down. I’m talking about those times when a new experience tells you, in a very personal way, that there are limits to what you were certain was the truth. On one side, the belief that anything is possible if only you try hard enough. On the other, the belief that, even with the best effort, the thing you hope for is out of reach. He came from an all-white world, but one of hard times, hard knocks, and hard lessons. Work was something that was required from an early age because the family needed money. His dad had two jobs, while the mom held down the home fortress, stretching food to make sure that no one starved, mending clothes because not enough dollars were available for new ones; and besides, things were used until they fell apart, not tossed away simply because fashion required a different “look” or a shinier, crisper, less frayed exterior. This young man saw a few people in his hardscrabble Pennsylvania steel mill neighborhood — friends and others either a bit older or younger — give up on life and turn to alcohol or drugs. But most of his contemporaries learned to make a living, even if nothing very fancy or prestigious. The mill seemed a likely destination for this boy too, just as it was for many of his buddies. Yet after a long period as a mediocre student, he alone found a way to go to college and surprised himself by being accepted into a fine graduate school, working to pay his own tuition. Then, looking up at career goals that seemed unreachable, he took a deep breath and started ascending, never hesitating for fear that he would asphyxiate as the air thinned at the top; afraid, too, that like Icarus of the Greek myth, he might fly close to the sun and fall because his feathered wax wings, like the cheap clothes he wore, would give way. 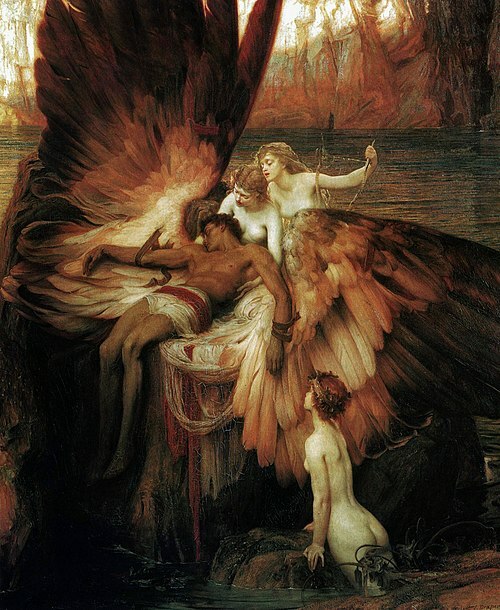 But he did make it on the wings he had fashioned for himself, with little help from anyone. And eventually made lots of money with it. He married a beauty, had two eager and active children, came to live in a tony suburb and hung out with people who had also made it, many of whom had gone to the best schools from the beginning. Some of these men, of course, were “…born on third base and thought they’d hit a triple,” to quote Tom Harkin. No matter, he was proud to be among them. What the man in question believed was not that he had succeeded because of great talent, since he remembered that for much of his early schooling he had been a mediocre student. Rather, he recollected the moment in his late teens when he resolved to do better and let nothing stop him. This, he told himself — a relentless drive that would not be denied — was the secret of his success. This, he came to believe, was what would lead any “average” person (as he thought himself to be) to that success. And this rule, he was certain, would apply to his children too. But as they reached their teens, the life he had imagined for his children began to look as far away as the top of his own career ladder had seemed when, as a younger man, he’d stood at the bottom. No amount of urging from mom and dad closed the distance. No amount of “tough love” on one side or encouragement from him and his wife on the other seemed to get them nearer to anything that looked like the future he had imagined for them. No amount of tutoring created the academic excellence that the adult couple so valued and that the children had been taught was so important. What happened to his kids could have happened to anyone’s children. Genetics and biology had trumped tutoring, encouragement, insistence, and a good home life. Both teens were afflicted with some combination of biologically based mental health issues and learning problems. The details don’t really matter. Take your pick from Depression, Mania, Borderline Personality Disorder, ADHD, Dyslexia, Executive Functioning Problems, and any other emotional or academic hurdle you care to name. The point is that, despite the parents’ best efforts — despite all the advantages of money and books and cultural opportunities and a nice neighborhood and outside help for school work and therapy and medication — the kids had major problems that were persistent. The man struggled with his children’s struggles. Moreover, the pain and perplexity in his kids seemed to fly in the face of his view of life, that “when the going gets tough, the tough get going” and triumph. He’d lived that way for so long, it had never occurred to him that his own children might frustrate his view of things. Until they began to have major emotional and academic problems, he’d viewed society’s failures as not having tried hard enough. For him, just as for his kids, the question became: now what? It was hard to let go of a principle that had served him so well for so long. It was hard to live in the echo-chamber world of all those with lots of money and lots of things and fancy cars and impressive titles and think that he’d been wrong to believe in a just world where people get what they deserve and deserve what they get. Oh, sure, he’d always made a few exceptions to this rule, but only for those who were accident victims or had terrible illnesses. Instead, he’d thought people should be able to overcome almost anything: poverty, indifferent parenting, poor schools, and the like. But then there was the fact that his kids (who had everything) didn’t seem to be able to “overcome.” It made him angry, sometimes at them, sometimes at himself; and depressed; and sleepless. He was caught between his desire to push them harder and his desire to hold them and weep. With therapy and time, things changed. He began to put less weight on the importance of achievement, status, and material success. His tendency to blame some of those in our society who struggle to make their way diminished, and he was more open to considering the possibility that sometimes (more often than he had previously thought) the law of the jungle that prevails in the “free market” did not give everyone a fair shake. And he became a volunteer, giving his time away to tutor kids in an inner city school (time for which his clients would have paid hundreds of dollars). His world of black and white became grayer. Now he didn’t feel quite right living where he lived anymore, hobnobbing with society’s winners, some of whom had simply had the good luck to be born with a silver spoon in their mouth. He moved to a more economically and ethnically diverse neighborhood. His life had changed along with his view of the world. 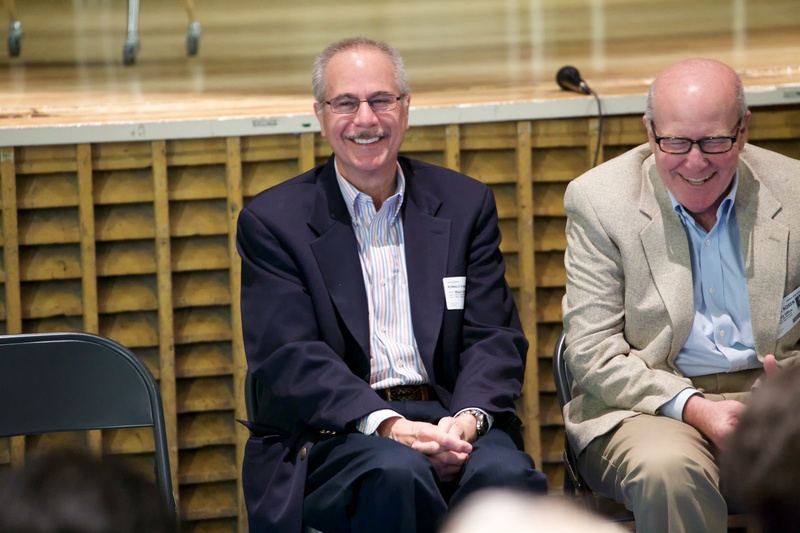 Its student body has gone from being almost all-Jewish, as it was when we attended, to becoming a “multi-ethnic stew” according to the Chicago Tribune’s Charles Storch. Like us, many of them come from families not far removed from a life across the ocean. Like us, they have lived in the modest dwellings that we used to inhabit in the West Rogers Park neighborhood of Chicago. And like us, many come from humble economic backgrounds, though they are much more financially stressed than we ever were. But unlike us, those students who aspire to a higher education are seen as peculiar by many of their classmates. Indeed, they are often asked why they work so hard at school and why they want to go to college, and not just by their peers. Many of the parents of these teens are so busy trying to make ends meet that it is difficult to give attention or appreciation to what their kids are trying to achieve. Often the parents have only a vague idea of what college might be and what it can lead to. The kids come from homes where, at a tender age, they have talked to collection-agents on the phone, where they don’t expect anything but hand-me-down clothing, and where a fancy dinner is something they can only dream about. Our class is a largely successful group that has given these kids a good deal of money in the form of scholarships, for which these children are very grateful. But we have discovered that the money gives them something more. The kids have told us that the idea that a group of educated and successful people are willing to give them money is almost unimaginable. And that it means to them that the future to which they aspire (and which few around them seem to fully appreciate) is really possible. So what do we have in these two examples? 1. A man who didn’t see himself except in the qualities he admired in successful others, until fate laid him low and gave him insight into the humanity he shared with the less fortunate. 2. A bunch of kids who couldn’t imagine that they shared anything with a group of much older, more prosperous and ethnically different adults, until those same adults told them that they did and staked their money on the truth of it. My friends and I do see ourselves in them and, by so doing, cause some of them to see themselves in us. If you have been lucky and successful in life, I hope that you will consider “paying forward” your own good fortune to these talented and needy children. 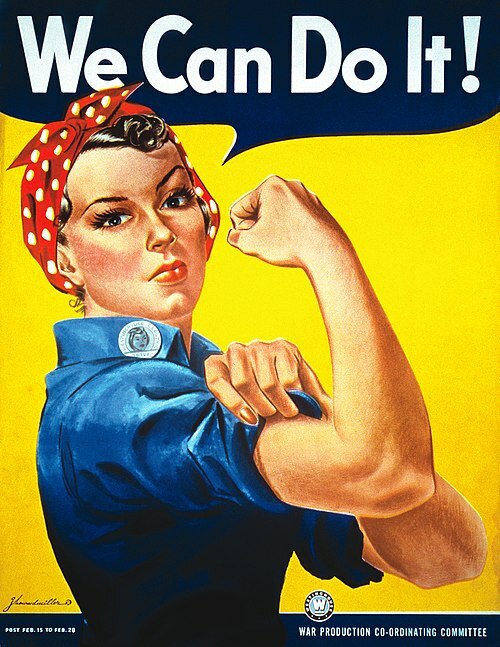 The top image is a poster called We Can Do It! from Westinghouse, associated with the World War II icon “Rosie the Riveter.” The pictured woman is actually Geraldine Doyle (1924-2010). The poster is the work of J. Howard Miller and was used by the War Production Co-ordinating Committee. 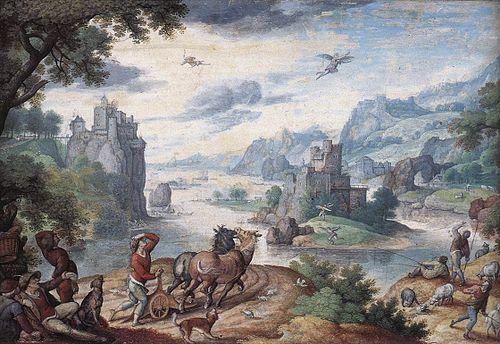 The painting that follows is called Landscape with the Fall of Icarus by Hans Bol (1534-1593). 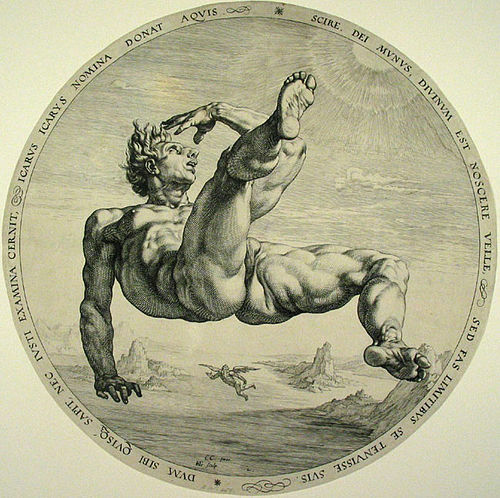 The third image is sourced from graduatesyorkshire.com/ The fourth picture is Icarus, painted by Hendrick Goltzius in 1588, followed by Lament for Icarus by Herbert James Draper, done in 1898. All but the third image are sourced from Wikimedia Commons. It isn’t very often in life that you meet someone who does good and who is good. But today, you will get a chance to meet such a man and it will be in his name that we will make scholarship awards to a few of you. He is a leader who does not glory in his leadership. He is a healer who works for the good of his patients and for the common good as the head of a great university. And he is a friend who has not forgotten his old friends. The man is Dr. Jay Perman and all of us up here and in the first two rows are proud to say that we were his classmates. All of us represent the Zeolite Scholarship Fund and graduated from Mather in June of 1964 or January of 1965. Like you, most of us didn’t have very much money. Like you, most of us had parents or grandparents who came here from another country. And like you, most of us were more than a little unsure of what was possible for us in the future. Jay’s parents came to Chicago from 5000 miles away in Eastern Europe and struggled to make ends meet. When Jay was in his first year in high school his father died. Thereafter, Jay’s mom supported the family by working as a seamstress, paid by the number of hats she completed in a day. Jay is probably the only Mather graduate in history to become the President of a major university, in Jay’s case, the University of Maryland, Baltimore. That school is about 700 miles east of Mather. But the interesting thing is, that in order to go from being a student at Mather to becoming the President of the University of Maryland, you have to travel an even greater distance. It is not like the distance of an airplane flight from here to there. It is not like the distance that Jay’s parents traveled from the Ukraine to Chicago. Rather, it is the distance in here (your head), between where you are now and what you can imagine might be possible in your future. And it is the distance in here (your heart), when you set your heart’s aim on what seems like an impossibly far away goal and give everything you have to achieve it. It is easy, too easy for you sitting in this auditorium, to think that nothing very special will be possible for you. It is easy, too easy, to think about the difficult economic conditions that prevail in the world today, and wonder if you will even be able to make a living. In other words, it is easy to give up — too soon. Two shoe salesmen were sent to Africa about 100 years ago by two different British shoe companies. Back then, Africa was a very primitive place and these men were sent to the most primitive parts of it. The point is, sometimes things depend on how you look at them. If, like Jay Perman, you have talent, courage, and the imagination to see what might be possible for you, then, just maybe, you can become a pediatrician, as Jay is, and eventually a university president. Sometimes thinking it is possible, makes it possible. All of us here are waiting, putting some of our money in the form of scholarship awards for a few of you, betting on the possibility that you will do something both great — and good. And if you do, your classmates will be as proud of you as we are… of Jay Perman. 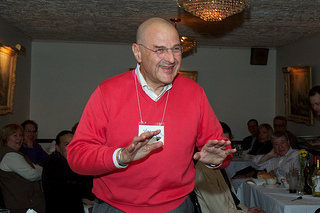 The photo of Dr. Jay Perman above is sourced from the University of Maryland, Baltimore. What Music Would You Take to a Desert Island? Humor then, followed by the art of a gifted baseball player, music, movies, a work of fiction, visual art, food, and the young woman he realizes he loves, almost too late. Your list would be different, mine would too. But isn’t it interesting how prominent music is on lists such as this, how often people find that an interest in music binds them to lovers, friends, and the joy of living? A popular radio program on the BBC since 1942 has been asking what music you’d take with you if you were a castaway. It is called Desert Island Discs and it has hosted interviews of nearly 3000 prominent people in that time, trying to find out what tunes would be essential if they were marooned on the proverbial desert island. On their website Desert Island Discs you can hear a number of these programs and discover the musical choices of folks like Martin Sheen, Alice Cooper, Tom Jones, Tim Robbins, Emma Thompson, Jerry Springer, Barry Manilow, Whoopi Goldberg, J K Rowling, Stephen King, Simon Cowell, Colin Firth, Patrick Stewart, Kim Cattrall, Kiri Te Kanawa, Luciano Pavarotti, and many others from the world of science, philosophy, literature, and government. Back to Woody Allen’s question, what makes life worthwhile for me? Anna Karenina, A Tale of Two Cities, and A Prayer for Owen Meany by John Irving… baseball and the Zeolite Scholarship Fund… Shakespeare… Chocolate… Dim Sum, Superdawg (a Chicago area hot dog drive-in), and almost anything cooked by my wife Aleta… Precious and Peanut (family dogs)… listening to and telling stories… the satisfaction of doing something difficult and well… a good cup of coffee and the singing of the birds on a spring morning. And if you asked me what would I want in any heaven worth the name? All that plus my father in middle-age and my mother before life defeated her. Put another way, I guess I am living in something pretty close to heaven on earth. Since, for most of us, food is one of the joys of living, you might want to take a look at an interesting and recently initiated blog on that subject: Adventures in Food. 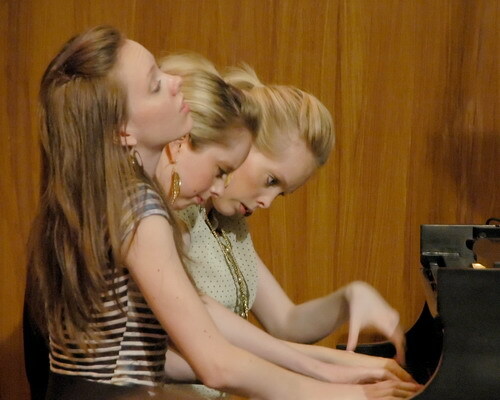 The top photo is Brown sisters Melody, Deondra, and Desirae performing on a Steinway grand piano at CBC Radio Studios in Ottawa, Canada as part of the Ottawa International Chamber Music Festival on September 12, 2006. Photo by Mike (Binary Rhyme) Heffernan. 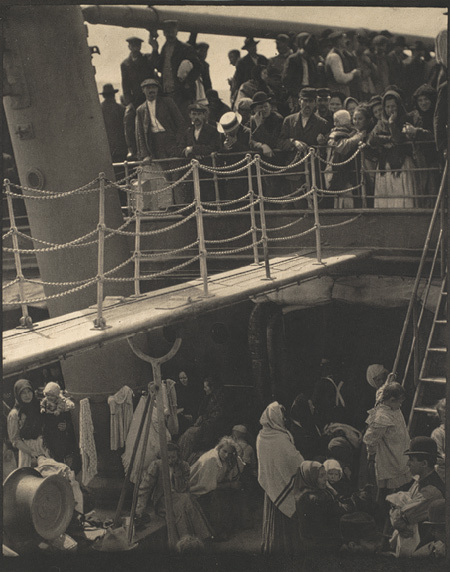 The bottom photo is The Steerage taken by Alfred Stieglitz in 1907. Both are sourced from Wikimedia Commons.